Got a bathroom that could use a little updating, but a budget that won’t allow for expensive improvements? Consider swapping out your bathroom’s fixtures, faucets, and accessories. Small changes like these play an instant role in changing the feel of a bathroom, say the folks at Brandpoint. Here’s how to use accessories and fixtures to refresh the look of your bathroom on a modest budget. Widespread faucets, which are named for having two handles and spanning an impressive 8 to 16 inches after installation, make a bold statement and can easily fit into a variety of styles. Whether your style is traditional or contemporary, a widespread faucet can fit in while making a big impact. 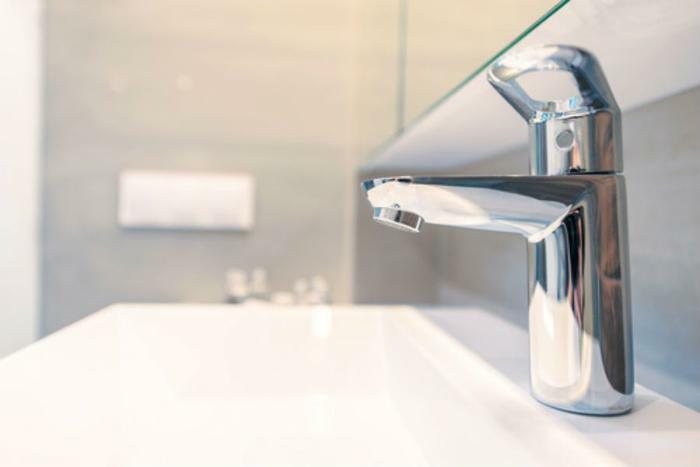 If you’ve got a vessel sink, you may be better off opting for a taller faucet with a single handle. Single-handle faucets can have just as big of a design impact as large faucets in some environments, experts say. Coordinate your faucet color and finish with the rest of the fixtures and accessories in your bathroom. Contrary to what you might think, robe hooks, towel bars, and other accessories are an important element of a bathroom’s decor. Bring in towel rings, paper holders, and other accessories that complement faucets and fixtures. Adding an aesthetically pleasing toilet can also enhance the look of your space. “Pretty toilet” might seem like an oxymoron, but toilets with concealed trapways have become increasingly popular in recent years due to their attractiveness and ease of cleaning. If you are updating your whole vanity, consider adding intrigue by way of an under-counter sink with a little shape. Shape options include square, rectangular, oval, or circular. Under-counter style sinks can help keep the area looking clean and seamless.